Don’t underestimate the impact of your emotions when it comes to spending. There is psychology behind why you buy and if you let your heart rule your head for any purchase, you may end up with debt problems. This spending intensifies when your purchase decision is driven by the fear of missing out (FOMO). “FOMO happens commonly when people are buying a home, causing them to exceed a sensible budget because of the intense emotions involved and the sense that if they don’t buy now, they will miss the boat entirely,” says Jeff Schwartz, Executive Director, Consolidated Credit Counseling Services of Canada. “However, FOMO isn’t limited to buying a home. It can be a major factor in any purchase. 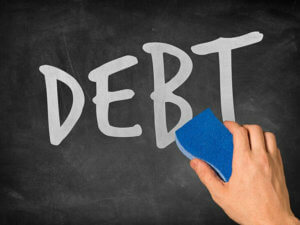 And if that purchase is beyond your budget, you’re incurring debt as a result,” says Schwartz. Here are some tips on how to be aware of FOMO and how to overcome it to keep your finances intact. Part of combatting FOMO is understanding how and why it works. FOMO is caused by anxiety experienced when you feel like you’ll miss out on a positive experience. In this case, the “positive experience” comes in the form of retail therapy, overspending on travelling or dining out or buying more car or home than your budget allows. Recognize that anxiety and then remind yourself of the consequences of your actions. It’s one thing to let FOMO drive your shopping. It’s another thing entirely when you don’t have the money in your budget to pay for it. Overcoming FOMO requires you having a plan in place that starts with a solid budget. Make sure to include in your budget a section for spending money on items that you might have been buying in the past as a result of FOMO. That way you can still spend a little, but avoid accumulating debt. In addition to your budget, make sure that you have a plan in place when you encounter those feelings of FOMO. Acknowledge them and use tricks like self-talk or visual cues (post pictures of your financial goals or other motivations) to avoid spending. FOMO when buying a home requires a little bit of a different approach. When you are setting your budget, make sure that you set it well below your maximum amount so that you don’t buy more home than you can reasonably afford. Not only will you be house poor if you max out, you’ll likely accumulate debt as a homeowner to cover costs. Use your budget as the priority in your housing search and be willing to compromise and be patient to avoid FOMO mortgage debt. Don’t forgo things like a property inspection either to get a deal done fast. With the explosion of social media and the frequent, visual reminders of what other people have and are doing, it’s not surprising that sometimes you feel “left out”. That is part of the momentum behind FOMO. If you find yourself experiencing this often, make a point of distancing yourself a little from social media to add some perspective. Your financial and mental health will benefit. Has FOMO got you in financial hot water? Pay your debt down and get control of your life back. Call one of our trained credit counsellors at 1-888-294-3130 or get started with our free online debt analysis. 30% Price to Income Ratio in Canada: Is it realistic?